Announcing, after more than a year in the making, MakersValley 3.1! One reason we created Be Inspired projects for MakersValley was to make creating a clothing line online easier for our Makers who either didn’t have the time or the technical experience to create patterns from scratch, without spending a ton of money. With this update, we’ve made this process even easier by making our Be Inspired Catalog more intuitive to find, use, and order from. Now once you begin a Be Inspired project, the Be Inspired Catalog is easy to find. So is the brand new shopping cart. When you’re ready to find the 100% Made in Italy white label samples you want to use to build your fashion product, go to the Catalog section and browse products (click Start Now on the top menu, then click Be Inspired). We’ve added filters to help you find exactly what you need without hassle. Search by product type, fabric composition, or even go right to the exact sample you want if you already have the catalog reference number. Set your preferences for color and size, and add the product to your cart. Then, you can go ahead and order the samples at checkout if you have a subscription, or sign up for a subscription and proceed to place your order. The alert by the shopping cart will show you how many Made in Italy white label garment samples you’ve selected at any given time. Once your account manager has verified that we have the samples you’ve chosen available and ready to go, they will send you an invoice for your order. You can keep track of these orders in the Catalog Orders section we mentioned earlier. 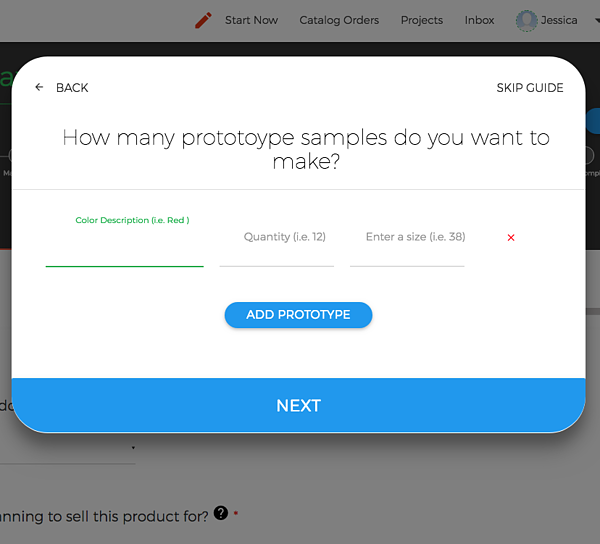 Customize the physical sample you received. Record the sample modifications in the Platform Modifications tab. 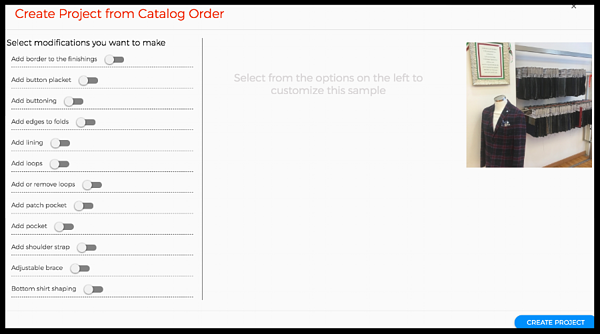 Here, you’ll be able to see not only the customizations you requested for your sample order, but you’ll also be able to factor in further garment edits. When it comes to getting something done, who doesn’t love a no-brainer? (That’s a no-brainer). That’s why we’ve created the new MakersValley Wizard tool. The MakersValley Platform asks you for a lot of information. While it’s best to add as much detail as possible (because your project in the Platform is your blueprint for your factory to create your fashion product), not every part of your project needs to be filled out in order to start getting bids from Italian manufacturers. 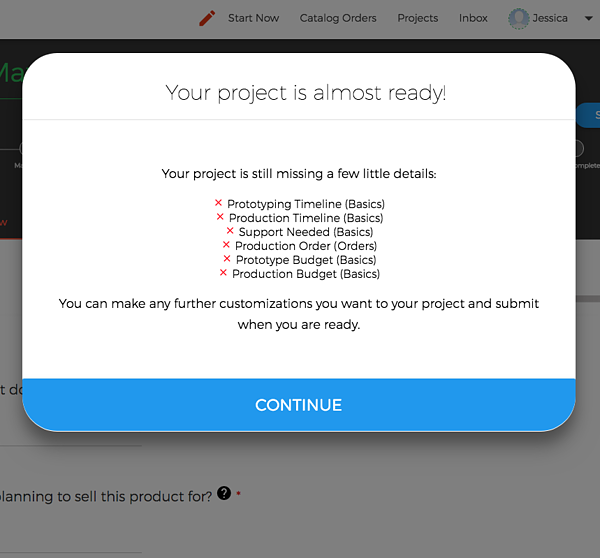 The MakersValley Wizard walks you through each essential element of your project right from the moment you create it – mission critical elements only. 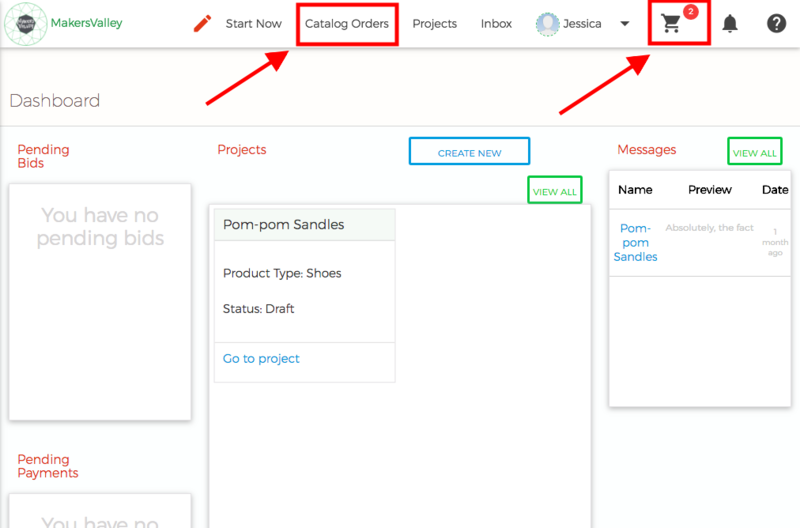 Then, when you’re done, the Wizard will even show you a list of the items you skipped that will need to be filled out for your project to receive approval and be visible to manufacturers for bidding. You asked, and we listened! Here are a couple of changes we made, because frankly, your ideas were great! Added Auto-Save for all projects - We’ve ditched all the Save buttons for projects in the Platform. Now, any information you enter will automatically save, so that you don’t have to worry about one wrong move messing up all of your hard work. Updated Fabric Composition edit category - We’ve moved Fabric Composition from its own standalone section to a component of the overall Fabrics category. Now, you can add your fabric composition percentages directly to the fabric you’re selecting for your product. No dropdown sizes - You can now type in whatever size you want for your products, instead of being limited by a preset selection of size options. Whether you’re just trying to design your own shirt online or working to create a streetwear fashion empire, you can now download your account information as a zip file PDF! 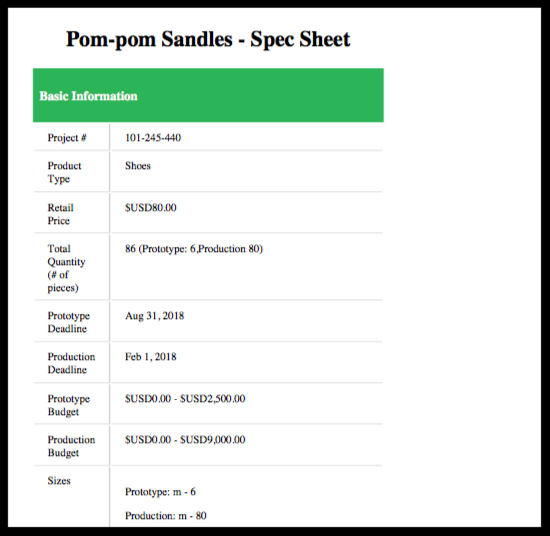 Save or print your project specs to show buyers, share with partners, or update your shop’s records. A lot of these changes were inspired by Y-O-U! Your feedback is so invaluable to us. Drop us a line to let us know what you think of the changes to the Platform. Even better, if there’s a change to the Platform that would make your life easier, that we haven’t made yet, let us know!